Math is one of those subjects that is important to keep fresh over the summer. But who wants to sit and do worksheets in the summer? 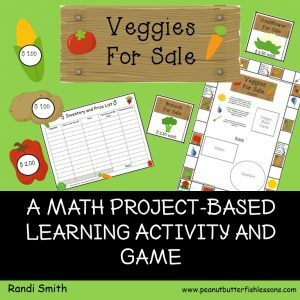 We like to use math games, projects, and life skills to keep our math skills sharp. 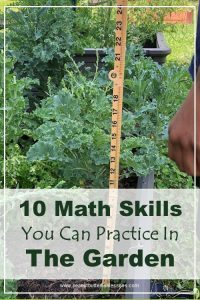 One of the best places to strengthen math skills is in the garden! Here are ten skills you can target and some ways to do so. They cover preschool through elementary school math. And if you don’t have a garden or like to get dirty? 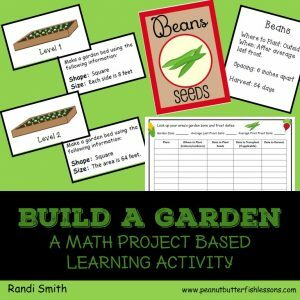 Then just scroll to the bottom and check out our Build A Garden: Math Project Based Learning Activity. No dirt required! 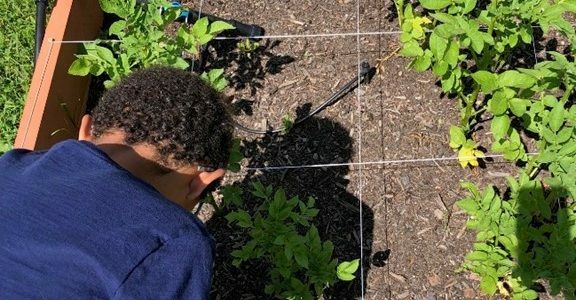 As I prompt these skills from our children, I like to use questions that start with “I wonder…” to encourage them to have curiosity about the outdoors and math in general. “I wonder how many plants are in this bed?” “I wonder how many peppers are on that plant?” “I wonder how many peppers are on all the plants together?” “I wonder how many tomato plants we can fit in this bed?” Then I sit back and see if they can determine how they are going to answer the question. If they are having trouble with this, then I lay out a possible path to the answer by starting with “Maybe we could….” My goal is for them to start to ask these questions on their own and to come up with strategies for answering them. To learn about the 10 skills and how you can target them, join me over at Minnesota Country Girl where I have the privilege of guest posting for Summer in the Outdoors: A Homeschool Series of Gardening, Foraging & Nature Studies.The list is by no means exhaustive and once you get in the habit of looking for math in the garden, you will come with lots of new ideas!